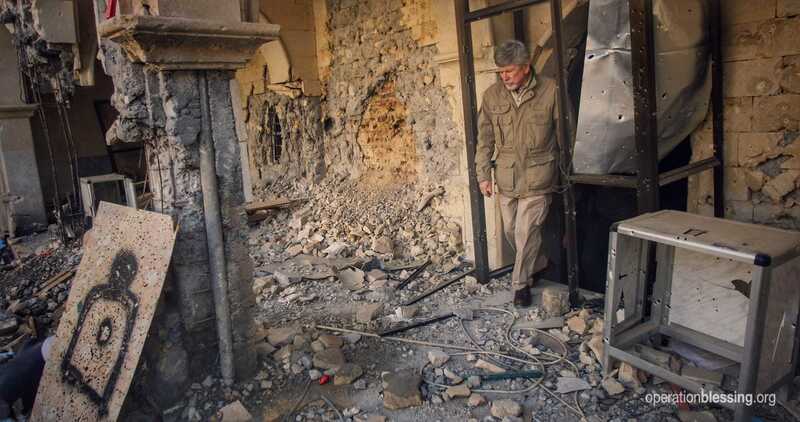 QARAQOSH, Iraq – Rubble and bullet-riddled relics fill the streets of Qaraqosh where once thrived a community of more than 50,000 Iraqi Christians. In 2014, ISIS drove them out of their homes as they invaded. The families who called Qaraqosh home fled with only what they could carry. It took years, but armed forces finally drove ISIS out, and persecuted believers are making the trek back to what is left of their homes. Houses and businesses were destroyed, but in the ashes, God has revealed slivers of beauty. Operation Blessing has come alongside these Christian families, helping them survive the harsh years away from their homes. As these Iraqi believers return to their city, OBI is already there, helping them restart businesses, utilities and the economy as they begin again. ISIS looted the homes in Qaraqosh before firebombing over 70 percent of them. The homes are now uninhabitable. 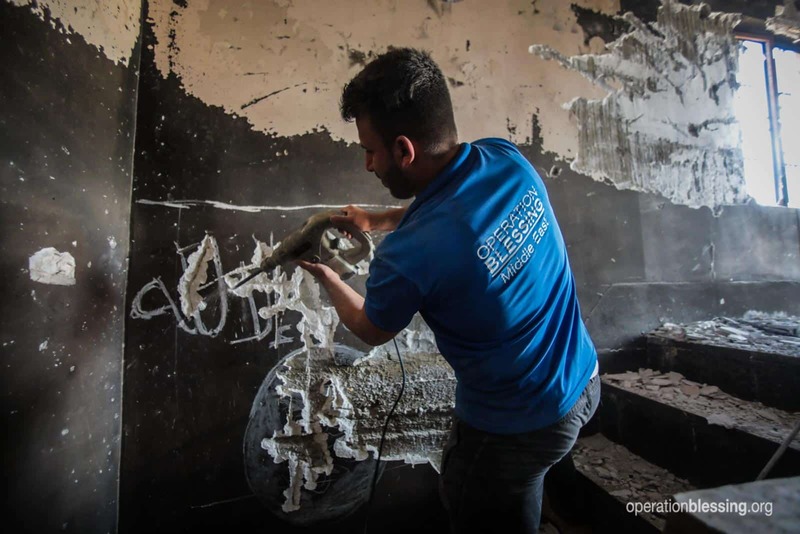 As the residents look to return, they face the daunting task of removing all the plaster from the walls and ceilings down to the cinderblock. To help with this monumental task, Operation Blessing hired a few locals to serve as a clean-up crew and start the process for residents. This gesture may seem small, but it is a huge step towards resuming life after ISIS’s occupation of the town. While living as IDPs (Internally Displaced Persons), the families from Qaraqosh have struggled to make ends meet or find work of any kind. 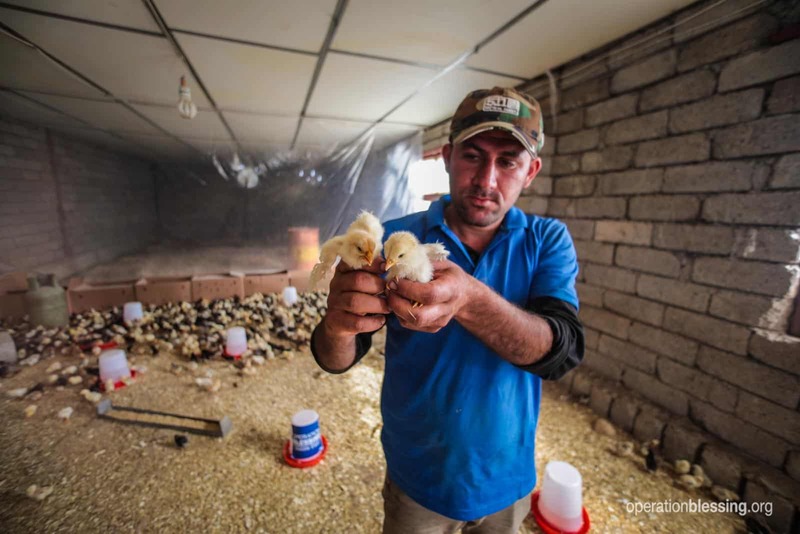 With abundant farmland around their city, many were farmers before ISIS came, but the animals they once tended are long gone. For those who worked in the city, few businesses have survived the bullets and firebombs of ISIS. Operation Blessing is helping these families get back to work. 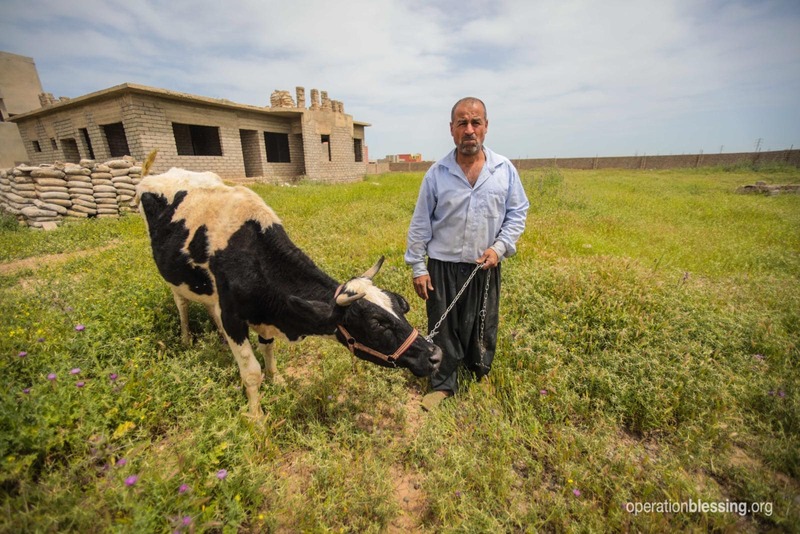 To restart the herding and farming infrastructure, OBI purchased sheep, a cow and chickens to help several farmers returning to Qaraqosh. The shepherd is already tending his new flock, the dairy farmer is making cheese and the chicken farmer is raising the next generation of baby chicks. 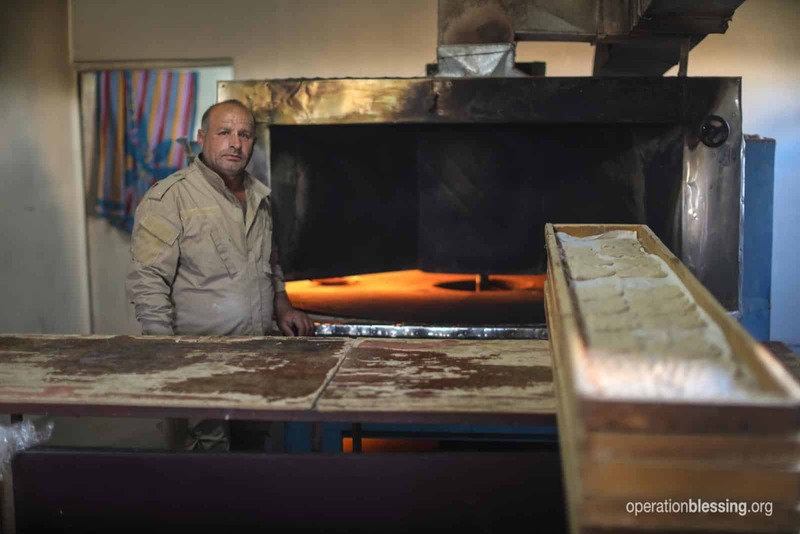 Back inside the city limits, Operation Blessing helped restart a bakery—the city’s first post-ISIS business. The bakery is also feeding into another business, a restaurant, which is already a hit with returning residents. ISIS crippled the city’s water supply by stealing pumps, shooting holes in water tanks and otherwise destroying the local water infrastructure. City engineers are working to restore the water supply, but the process is slow-going due to the number of broken faucets and pipes that need to be addressed. To help families as the engineers work, Operation Blessing purchased a generator and renovated a well on the property of the city’s second largest church. The well is used to fill a 2,000-gallon portable water tank with a tap stand. The tank is being used to bring water to the city’s returning population. OBI has also donated thousands of Aquatabs—small water-treatment tablets—to make the water safe for drinking. 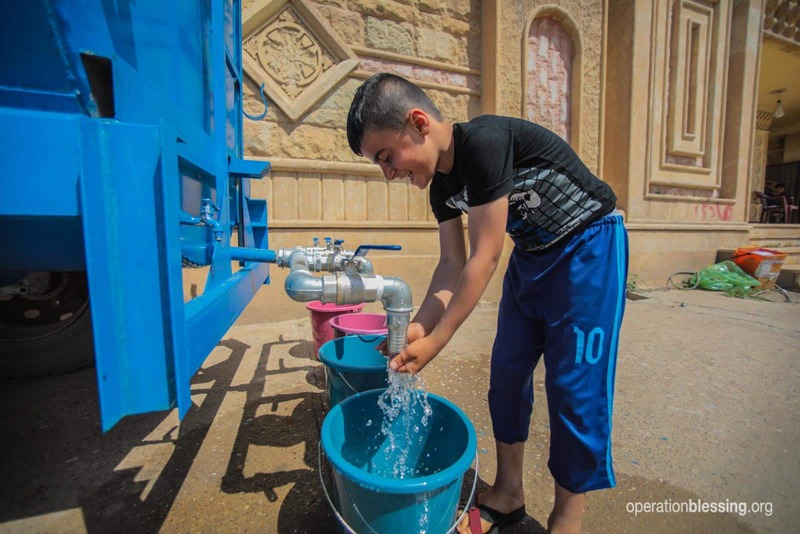 It will take time for Qaraqosh to overcome the obstacles left behind, but with help from Operation Blessing, these persecuted believers are making progress. OBI stood with these families as they tried to survive life in camps and tents, and is proud to now walk alongside them as they make the trek back to the city they left. The buildings may have crumbled, but the unwavering faith of the people of Qaraqosh will help make it home again.